Motorbike Movers knows that people who are getting ready to move normally find that it to be a pretty hectic time of life. To begin with, there are probably many emotional factors that play into the situation and mood. When you are moving, it usually means a start to a new is beginning. On top of this, you have financial stress. We all know that moving is expensive, and unless you play your cards right, you end up spending a lot more money and time than you have planned for. If you need a good moving company, you are really going to want to make sure that you are using the best company your budget allows. If you are a motorbike owner, then you will only want to work with an interstate motorcycle transport that will charge you a low price and give you great quality. There is a truism that goes around which states that you get what you pay for. In many cases, this is sound advice, though the truth is that you can’t use this in every area of life. 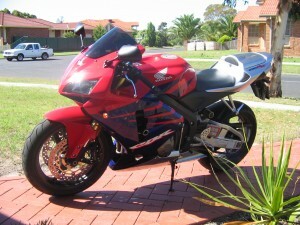 Take interstate motorcycle transport in Australia. You might think that in order to get the security and peace of mind that you crave you are going to have to pay a little extra. Some moving companies will try to charge you more for the service that you would expect to get anyway. You need to work with a motorbike transport service that will let you have your cake and eat it too. When you are shopping around for interstate motorcycle transport, you are going to be faced with many options. We understand that the last thing you will want to do is explore your options. You don’t need to. You can get a free quote today and learn about the motorcycle transport service that is we believe the best in Australia. When you think about high quality, you shouldn’t only think about the service you receive. You should also think about the money being spent. If you don’t think that many transports could lower costs, then you will have to look at the numbers. The key to the best interstate motorcycle transport is care and affordability. You will learn that the best transport service is the one that will perform a number of close inspections on your motorbike. The service will also use only the sturdiest equipment and the most secure enclosed trucks for the motorbikes. The best will be efficient, timely, and affordable. Contact Motorbike Movers today.